This entry was posted in Audio Gear and tagged Phono Cartridge by tubemaze. Bookmark the permalink. Benz Micro delivers an incredible example of neutrality with its high-end cartridges. The cartridge is much more musical than Lyra Helikon and ZYX 4D, but at the same time it can produce the width of the image of other cartridges. In practical terms, this translates that for vocal jazz this is an incredible cartridge, but for rock and large stage music – it’s great, but not as good as the other two cartridges it was compared to. Bass is very deep and strong, but is not as punchy as Zyx 4D. Overall the cartridge is one of the best examples that I tried for music where warmth is important. 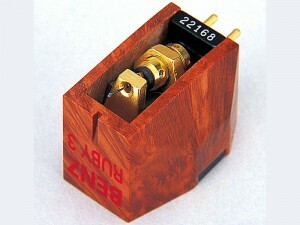 Records from 1950-60s sound phenomenal with this cartridge – producing very smooth, warm and involving presentation. Over the last several years I’ve owned and used three Benz cartridges. LP, Gullwing, and now I use the LP-Smr. During that time I have also had 2 Dynavectors, Koetsu, and 2 Lyras . I’m now down to one…Benz LP-S mr. Everthing else sold.